Relax, sleep better and wake up feeling rested with Sleep Cycle, the smart alarm clock. Track sleep from bedtime to morning, and get detailed analysis with the app that makes waking up in the morning just that bit easier. Track sleep using your phone and start your day feeling energized with our intelligent alarm clock and sleep tracker. Its unique design only wakes you up while you’re in your light sleep phase. Plus, you’ll get detailed reports as Sleep Cycle monitors your sleep patterns, from bedtime until you're waking up. Track sleep and use the data to help you sleep better today! ⏰ Waking up made easy - 5 reasons you’ll love Sleep Cycle: 1. Sleep better with a gentle wake up call - Sleep Cycle’s alarm clock wakes you up while you’re in light sleep and is a natural way to start your day. 2. Relax at bedtime and track sleep easily - Learn about your sleep patterns with detailed analysis. 3. A sleep tracker with a difference - There’s no phone under your pillow, you can track sleep by placing your device on the nightstand or close by on the floor. 4. Your health comes first - Your sleep data and reports will help you feel great inside and out. 5. Sleep better - Relax and let Sleep Cycle analyse your light sleep, deep sleep and overall health. Relax with a good night’s sleep that will do wonders for your health. 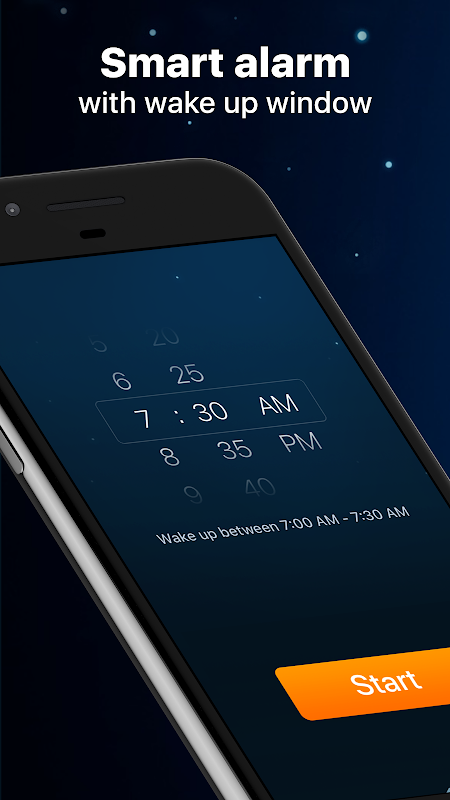 Download Sleep Cycle today - waking up in the morning has never been easier! 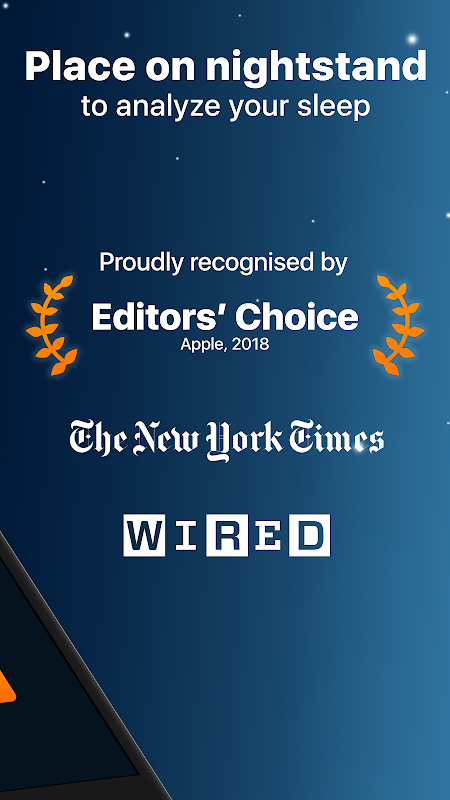 Free features √ Sleep analysis with Sleep Cycle patented sound technology, or accelerometer √ Detailed sleep statistics and daily sleep graphs √ Carefully selected alarm melodies √ Snooze by shaking or double tapping the phone lightly √ Customizable wake-up window. From instant (regular alarm clock), up to 90 minutes Premium features √ Longterm sleep tracker trends √ Compare your sleep data to world sleep statistics • Snore trends - view historical snore trends data √ Sleep aid - helps you fall asleep easier √ Sleep notes - see how events such as drinking coffee, stress, working out, or eating late affect your sleep quality √ Wake up mood - see how Sleep Cycle affects your wake up mood √ Online backup - lets you secure your sleep data online √ Export sleep data to Excel for detailed analysis REQUIREMENTS Ability to charge your phone by the bed. Ability to place your phone near the bed, such as on a nightstand table or on the floor.  Is Sleep Cycle: sleep analysis & smart alarm clock yours? Claim it!